Navy divers have placed the cockpit voice recorder of a Lion Air jet crashing into the Javanese Sea in October, Indonesian officials said Monday in a possible boost to the accident investigation. Ridwan Djamaluddin, a deputy minister, told reporters that remnants of some of the 189 people who died in the collapse were also discovered at the seabed location. "We got confirmation this morning from the National Transportation Safety Committee's president," he said. 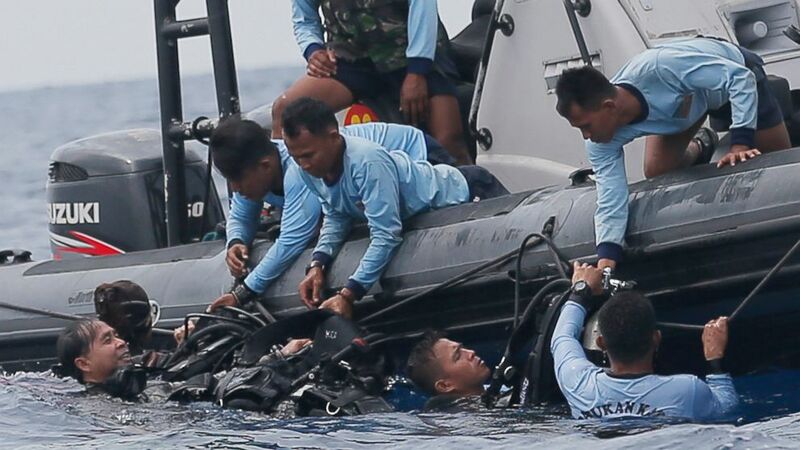 A spokesman for the Indonesian Navy Western Navy, Lt. col. Agung Nugroho said divers using high-tech equipment found the voice recorder under 8 feet of seabed dredge. The plane crashed into the water 30 meters. 9659002] The cockpit database was restored within days of the crash and showed that the jet's flight indicator had malfunctions over the last four flights. Lion Air crash was the worst airline accident in Indonesia since 1997, when 234 people died on a Garuda flight near Medan. In December 2014, an AirAsia flight from Surabaya to Singapore fell into the sea and killed all 162 aboard.